Attention public relations professionals: Do you hate yourself and get a kick out of receiving nonstop abuse from the press? Do you have experience putting out fires set by a CEO suffering from verbal pyromania? Do you have access to a reliable supply of Xanax? Then Ryanair has a job for you. Ryanair is looking for a new Head of Communications as the current one, Stephen McNamara, steps down to join the Irish Rugby Football Union as their new tackling dummy Director of Communications. 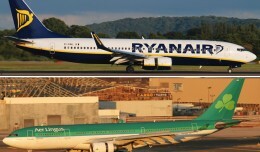 Ryanair, Ireland’s favourite airline, today (Dec 14th) announced that Stephen McNamara, after 4 years of being battered and abused by Michael O’Leary on one side and the European media on the other, has decided to pursue an easier life and will, in February next, join the IRFU as their Director of Communications. Stephen can expect to take far fewer hits working for Irish rugby than he does working for Ryanair. Having joined Ryanair four years ago as its Head of Communications, Stephen has played a leading role in the successful growth and development of the airline, which has now become the No.1 carrier in Spain, Italy, Poland and the UK, as well as the world’s favourite airline, with 79.4m passengers in the current year. Ryanair confirmed that it will now advertise for its Head of Communications vacancy, and see how many PR luvvies apply for what some in the media have described as “the worst job in PR”. Working as Ryanair’s Head of Communications has proven to be an incredible platform for previous incumbents being head hunted to become Director of Communications for Kellogg’s, the FAI and now the IRFU. 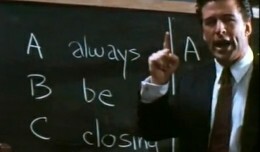 Perhaps the GAA or the Irish Olympic Committee will come looking for Ryanair’s next Head of Communications? For what it’s worth, I think the job would actually be a lot of fun. After all, the only reason Ryanair gets the attention it does every time CEO Michael O’Leary opens his filterless mouth is that the airline is wildly successful. If nothing else, there’s never a dull moment. I’ve never flown Ryanair, but I think it’s safe to say if it were as bad as its media reputation implies, about 78 million fewer people would have flown it in the past year. 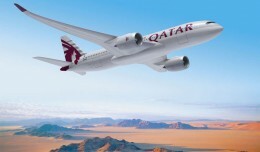 (The airline has transported 79 million passengers during the current fiscal year). 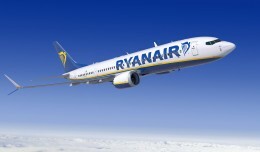 Ryanair today announced that they will be the launch customer for the Boeing 737 MAX 200. The European low-cost carrier placed an order for 100 of the new variant. NYCAviation.com, a rapidly expanding national air travel and aerospace news site, is looking for a freelance digital ad salesperson.